NMC faculty saved students $1,257,200 since fall 2015 by choosing free or low-cost textbooks for their courses. 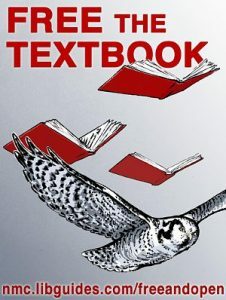 Join the OER Squad in thanking our Textbook Heroes during Open Education Week 2019, March 4-8. Stop by the library lobby between 11 a.m. and 1 p.m. Monday through Thursday and tell us how you cope with the high cost of textbooks and get a free phone holder! Come have a piece of “Million Dollar Cake” on Thursday. And check out our fabulous OER faculty and the list of courses NMC offers using free or low-cost textbooks.